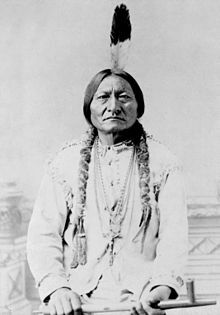 Sitting Bull, a Hunkpapa Lakota chief and holy man, circa 1831 – 1890 December 15. ↑ Norris, Tina (January 2012). The American Indian and Alaska Native Population: 2010. United States Census Bureau. United States Department of Commerce. یوْخلانیلیب9 September 2012.